Dreaming about your Christmas color scheme for the year? Pops of lime green against bright red offer a modern color variation on the traditional red and green. This lime green and red Christmas wreath video tutorial is the 3rd in the Christmas series of informative video tutorials using this modern color scheme. 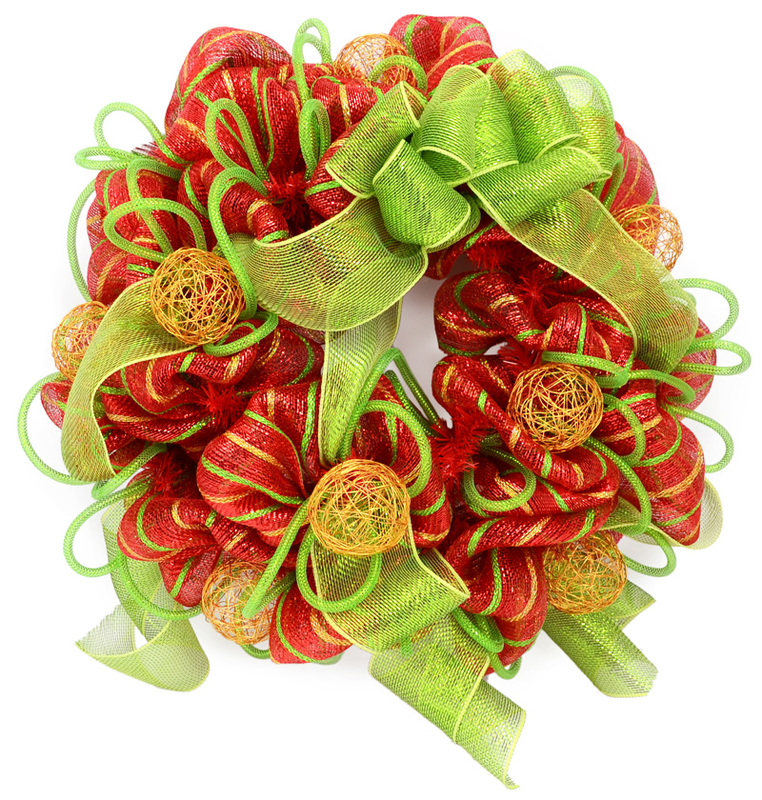 Our poly deco mesh video tutorial guides you through the easy steps to create this festive red, lime green and gold wreath. In less than 15 minutes, you can create you own designer wreath for less than designer prices. For this wreath, you will need these supplies that you can purchase at MardiGrasOutlet.com. Deco mesh is a synthetic sinamay mesh product that is both resilient and water resistant. It comes on rolls of varying widths-from 2.5" to 21" wide. 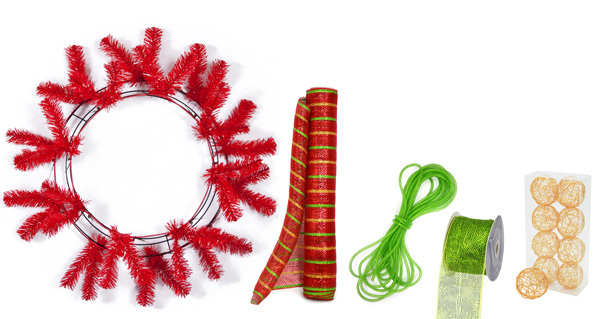 This mesh works beautiful outdoors so it is the perfect product for creating wreaths and garland. For all the available styles of deco mesh rolls, click here. 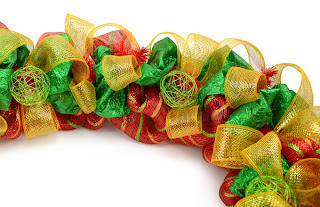 Do you use the entire roll of the mesh for one wreath? 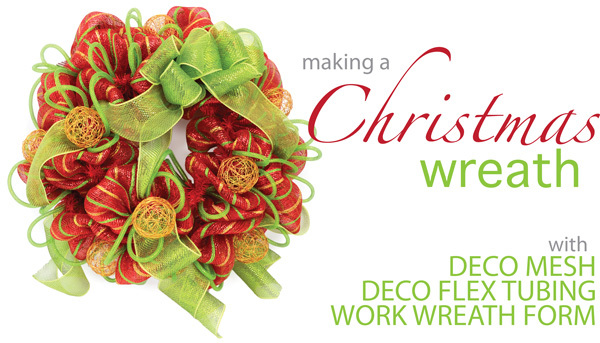 The 24" work wreath uses about 8 yards of mesh (a roll is 10 yards). The larger 30" work wreath form uses 10 yards (a whole roll). The tutorial featured here is for a 24" work wreath so you will have about 2 yards of mesh left over after the project. Can you estimate how much flex tubing is used per wreath? The designer used 10-15 yards of deco flex tubing for this wreath. Hope that helps! Where did you find the deco flex tubing? Are there projects you can make to use the leftover decoy mesh? How much of the smaller ribbon was used on this wreath? The one used to make the bow. Thanks. We used approximately 2.5 yards of the lime green 4" Mesh Ribbon, but you could use more or less depending on how much volume you would like your wreath to have. 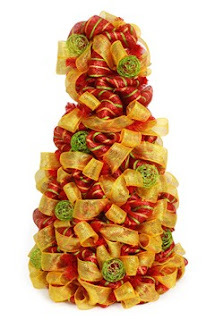 If I understand this correctly only one roll of the 21" mesh ribbon is needed for each wreath? This wreath only requires one 21" roll of Poly Deco Mesh, and you will have a few feet left over. Most of your 4" ribbon roll will also be left over. Love the designer look!! Very easy to work with!! Powerful statement maker!! This stuff is great! !